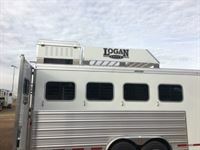 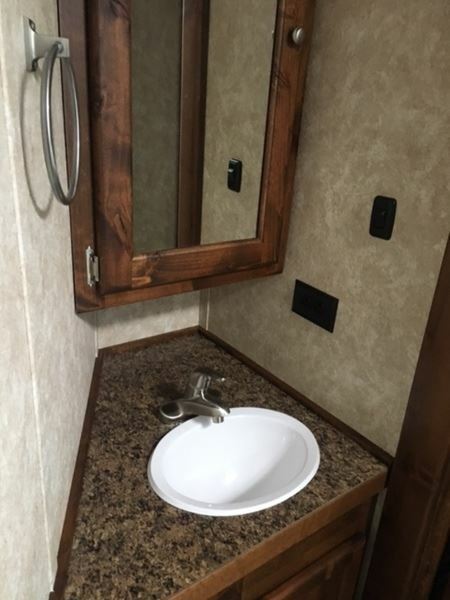 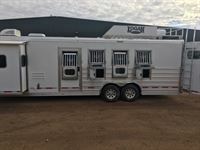 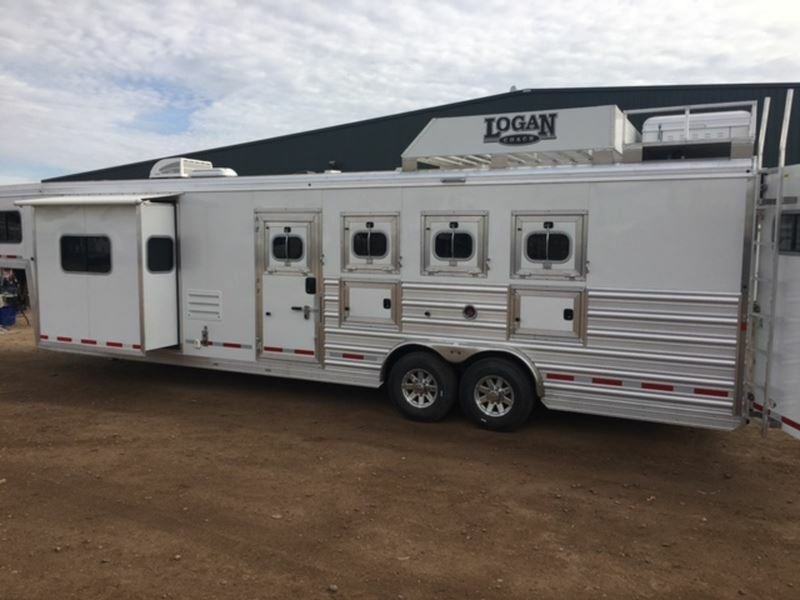 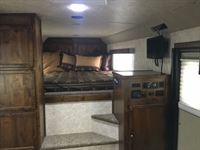 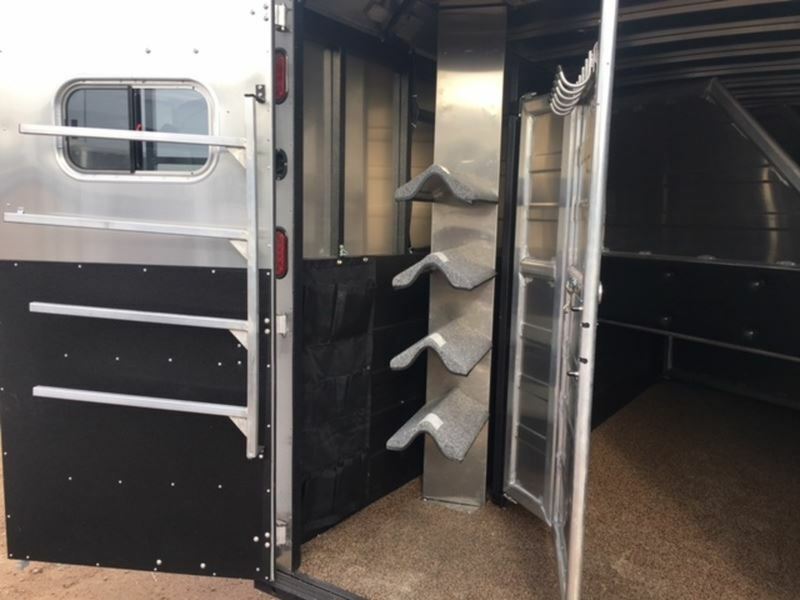 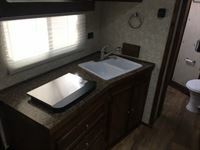 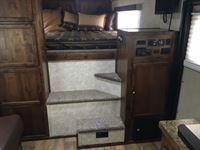 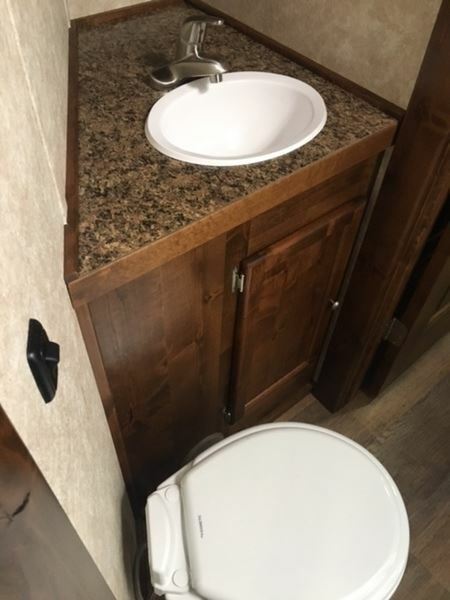 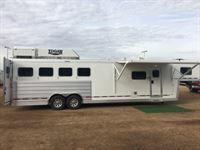 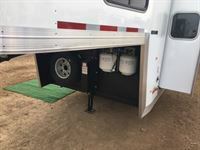 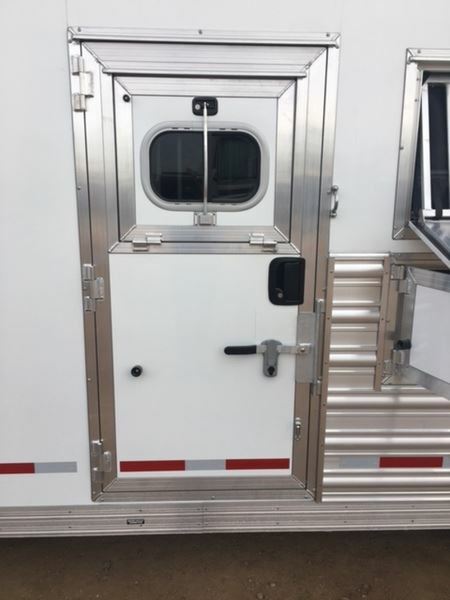 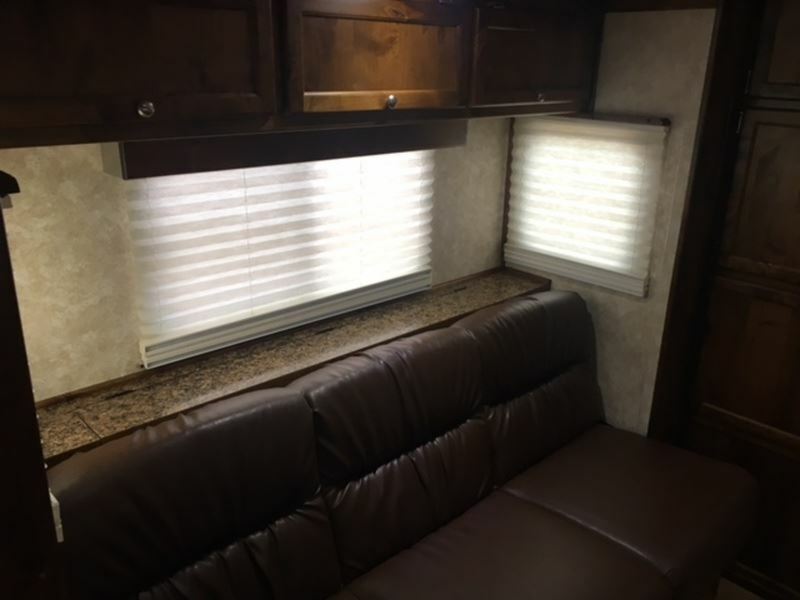 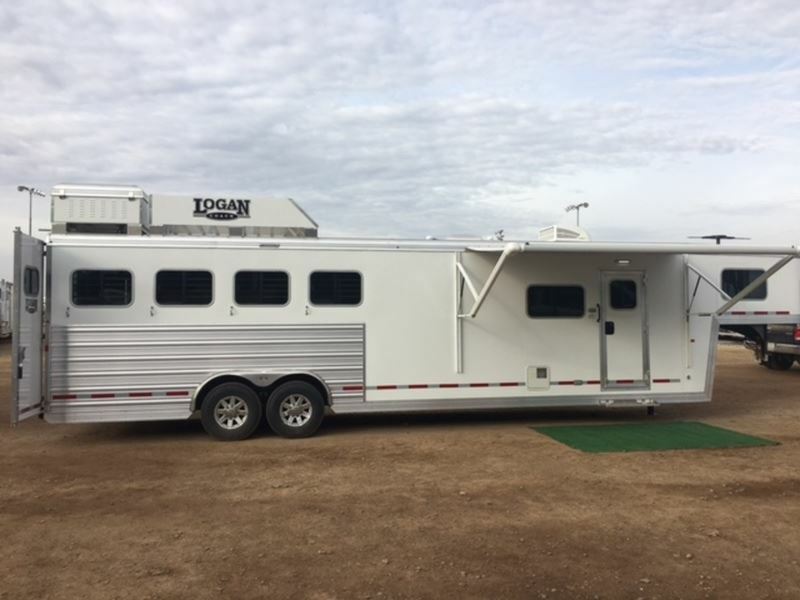 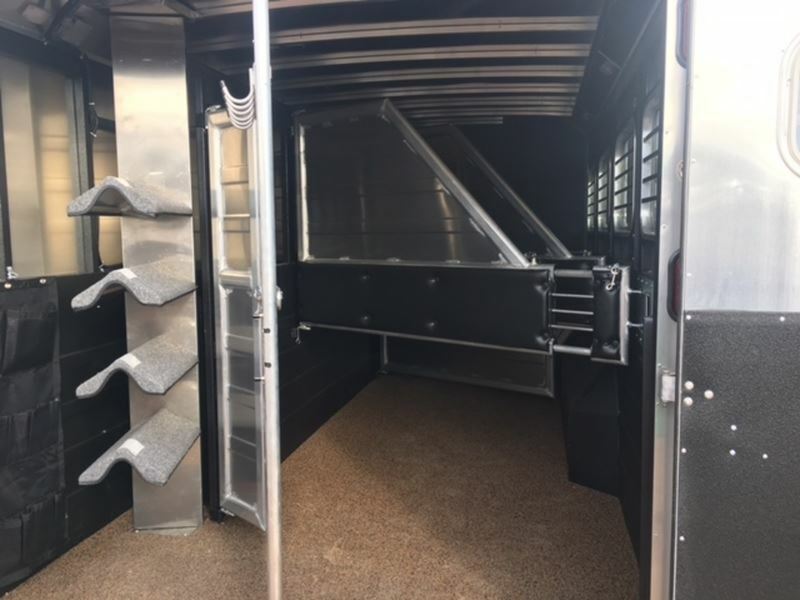 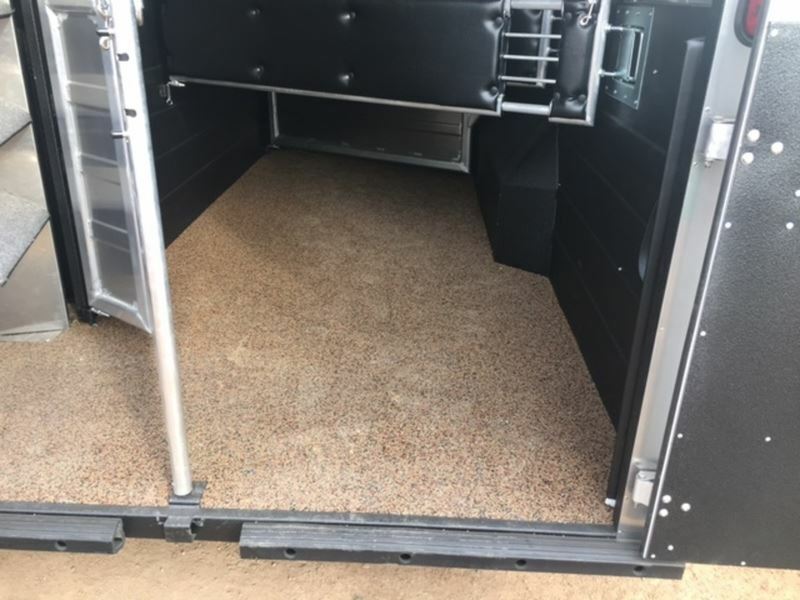 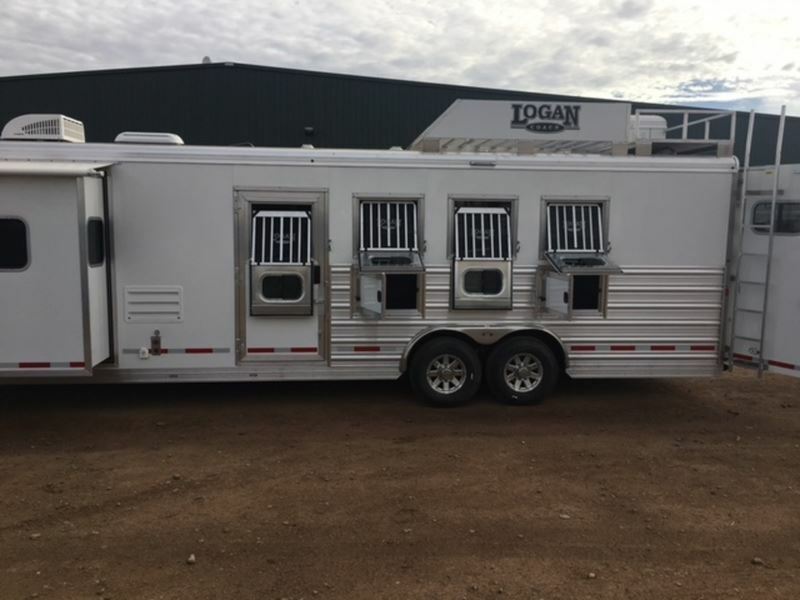 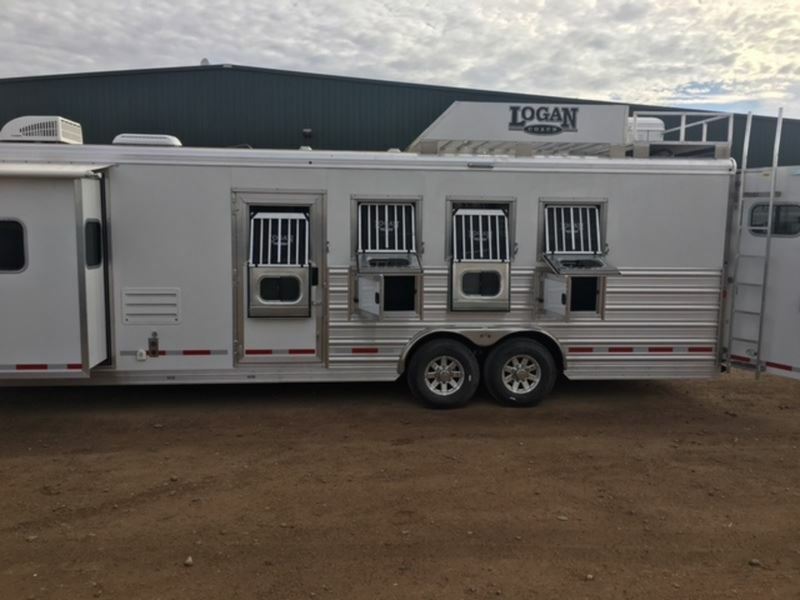 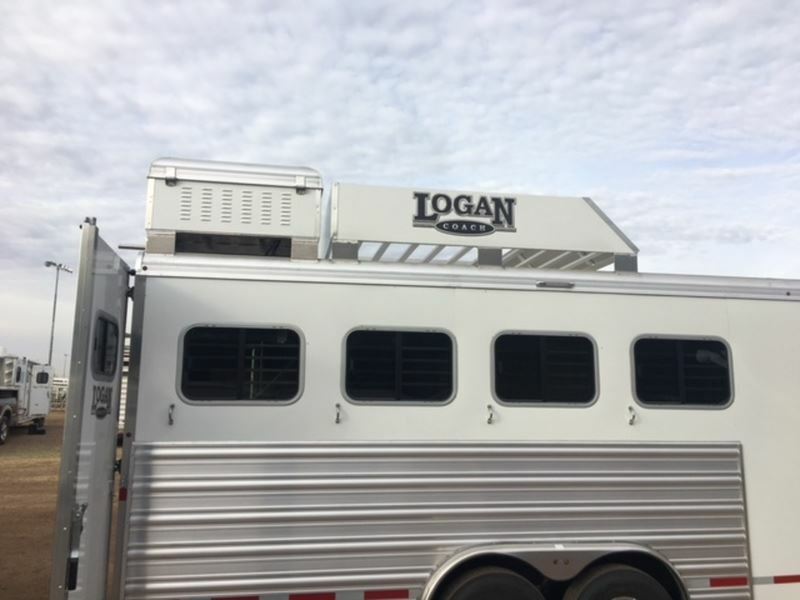 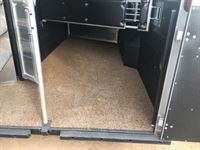 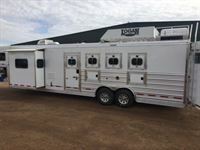 NEW to our Logan Coach line up...2018 Logan Coach 4 horse Trailer with a 12' Shortwall & 6' Slide. 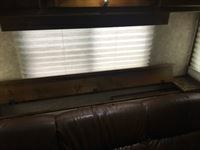 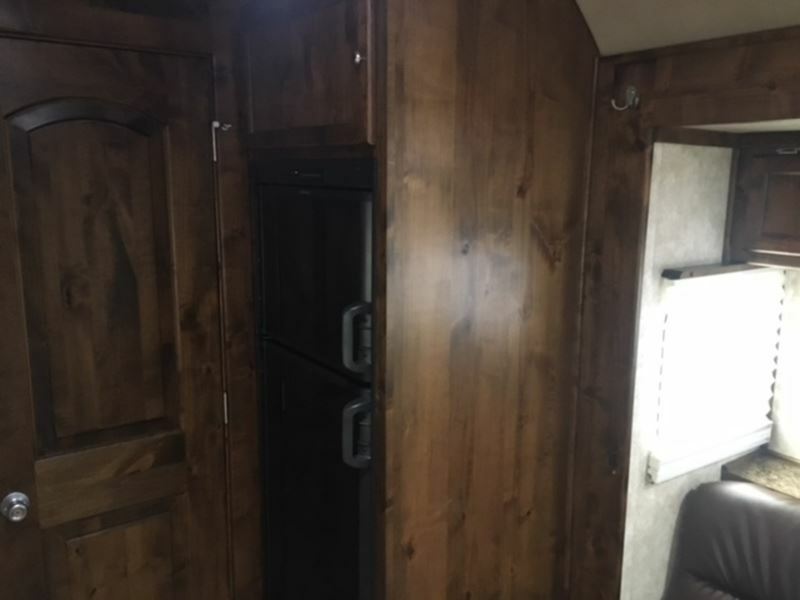 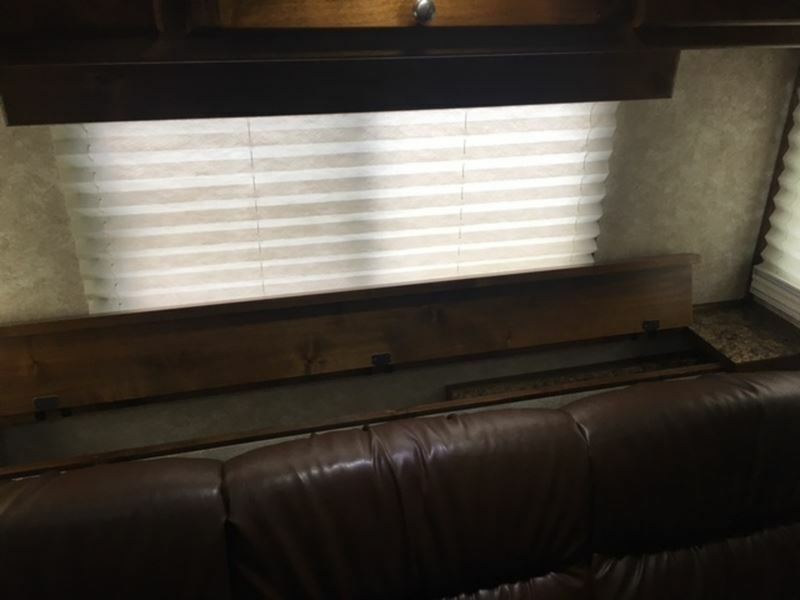 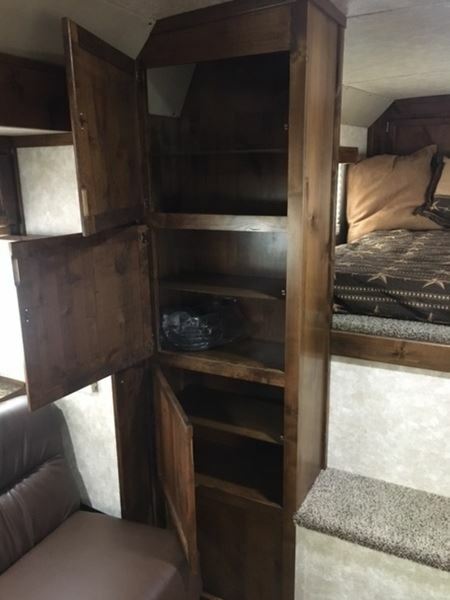 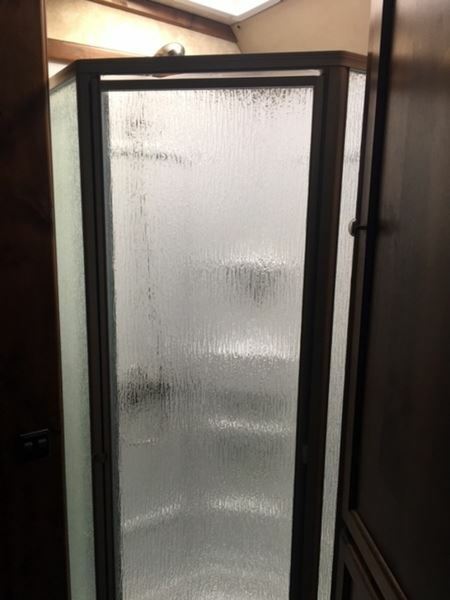 The trailer measures 8' Wide X 7'7" Tall & 32' on the Floor. 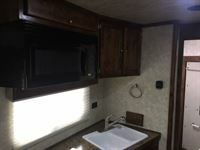 Living quarter features A/C, gas furnace, stereo, rolling screen door, power awning, DVD player, TV on a swing arm, couch in the slide, 2 burner cook-top , double sink, convection microwave, and a 6.0 refrigerator, tons of storage, big step up to bunk area, spacious bathroom has a neo-angle shower, sink/vanity, separate toilet, and a walk-thru door to the horse area on the slant wall. Horse area equipped with drop windows with grills and screens, bus windows on the hip side, escape door with bauer latch, mangers in 3 stall, stud divider in the 1st stall, padded stalls, roof vents, interior lites, pour in rubberized floor in horse area, collapsible rear tack, 3 tier saddle rack, blanket bars on door, bridle hooks, tack organizer, hydraulic jack, 2-20 lb propane tanks, 2 batteries, a hay rack, a 4000 Onan gas generator in a box with a cover.